Realising your dreams with PIDM Undergraduate Scholarship Programme 2015. 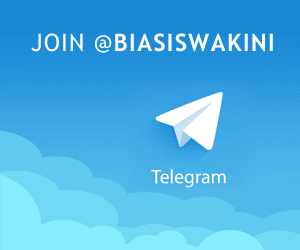 Tawaran biasiswa PIDM 2015 untuk warganegara Malaysia. PIDM Undergraduate Scholarship Programme is intended to reach out to deserving Malaysians who are in need of financial aid to pursue their education. Perbadanan Insurans Deposit Malaysia (PIDM) is a statutory body that protects against the loss of bank deposits, as well as takaful and insurance benefits in the unlikely event of a member institution failure and is mandated to promote public confidence in the stability of the financial system in Malaysia. The bond-free scholarship is offered on a yearly basis to a maximum of ten successful applicants to undertake up to 4 years of undergraduate studies locally. Up to RM10,000 a year in course fees. Up to RM4,000 a year in learning aids allowances. Up to RM6,000 a year in living allowances. How to Apply this PIDM Undergraduate Scholarship 2015 ? More detail information please visit PIDM website. 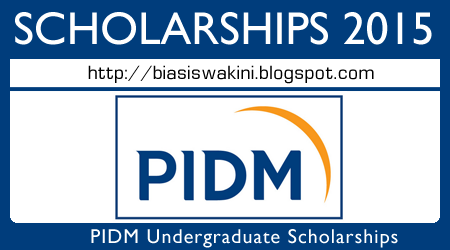 0 Komentar untuk "PIDM Undergraduate Scholarship Programme 2015 | Biasiswa PIDM 2015"